With Yorkshire ham hock. 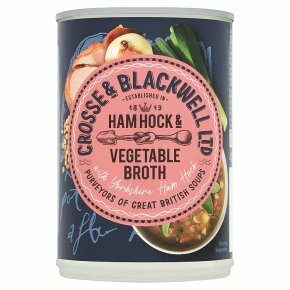 Purveyors of great British soups. No artificial flavours or colours. (Based on 750W Oven) Empty contents into a microwaveable container, cover and vent. Heat on full power for 3 minutes, stirring halfway through. Allow to stand for 1 minute before serving. Heating times are a guide only. Adjust times according to your appliance.